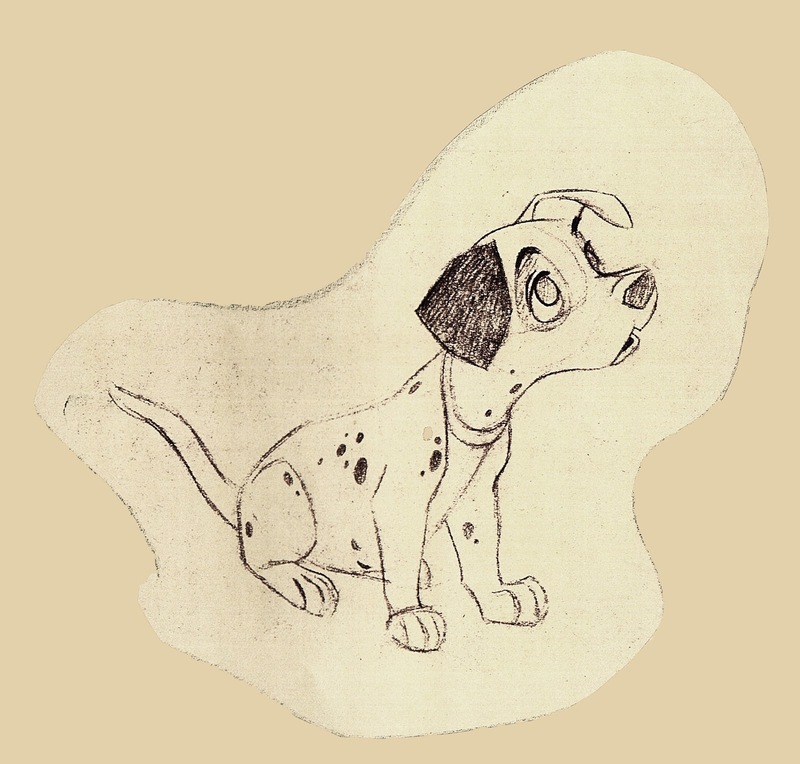 When the whole Dalmatian family watches the Thunderbolt TV Show, we get the chance to see the puppies interacting for the first time. 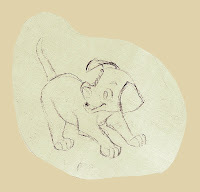 They behave like real kids, being caught up in the excitement of the show while commenting frequently. 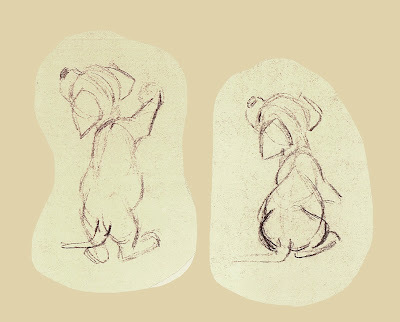 What a clever and beautiful sequence! 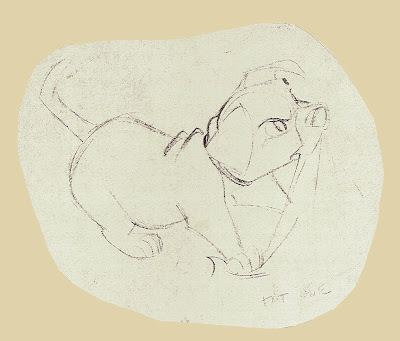 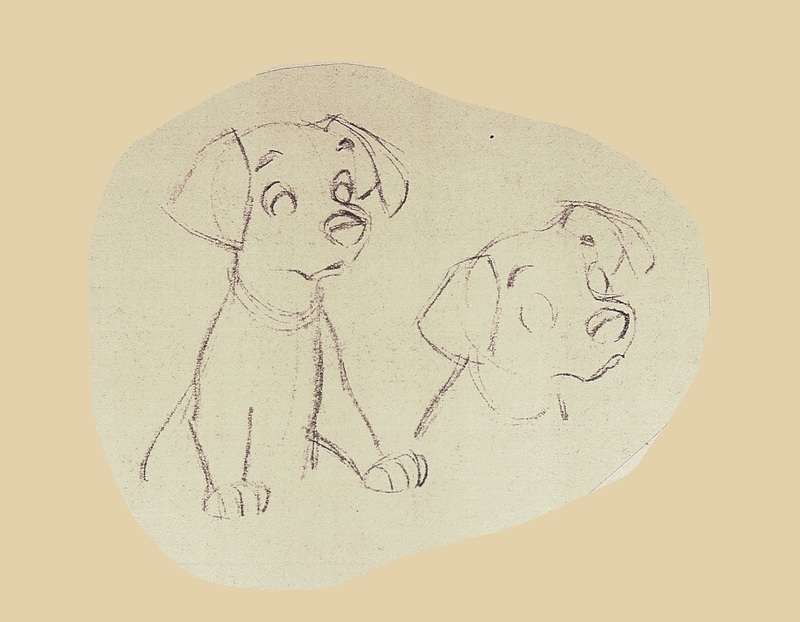 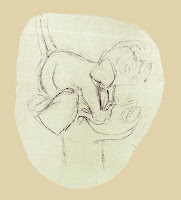 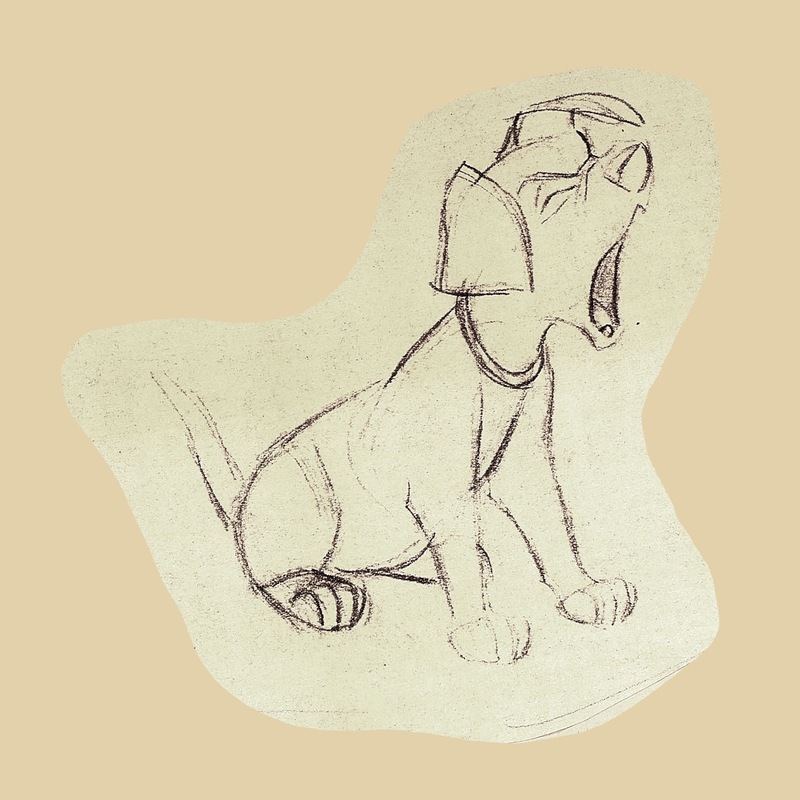 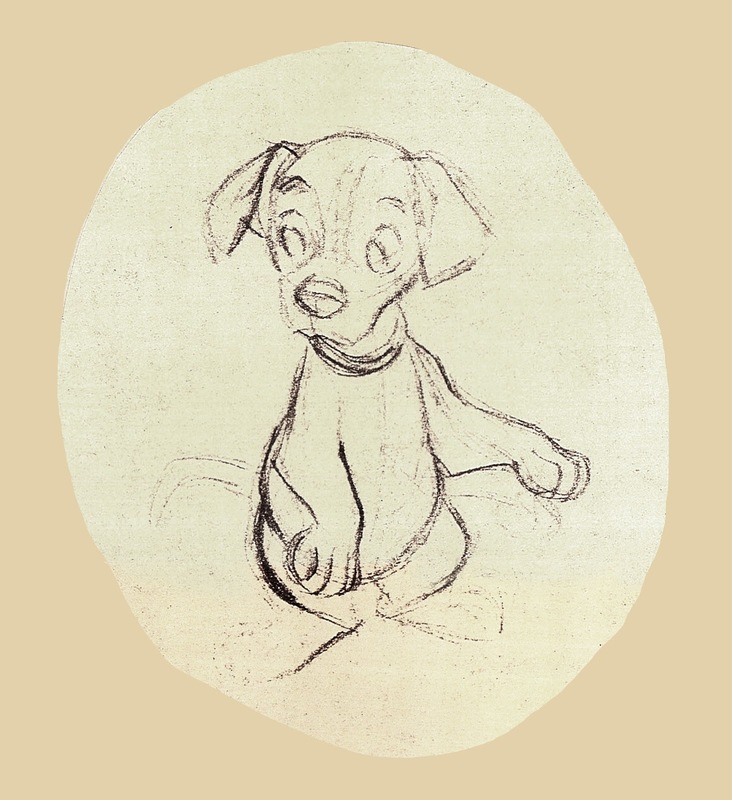 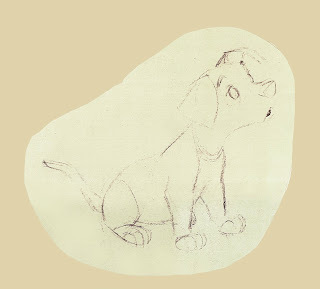 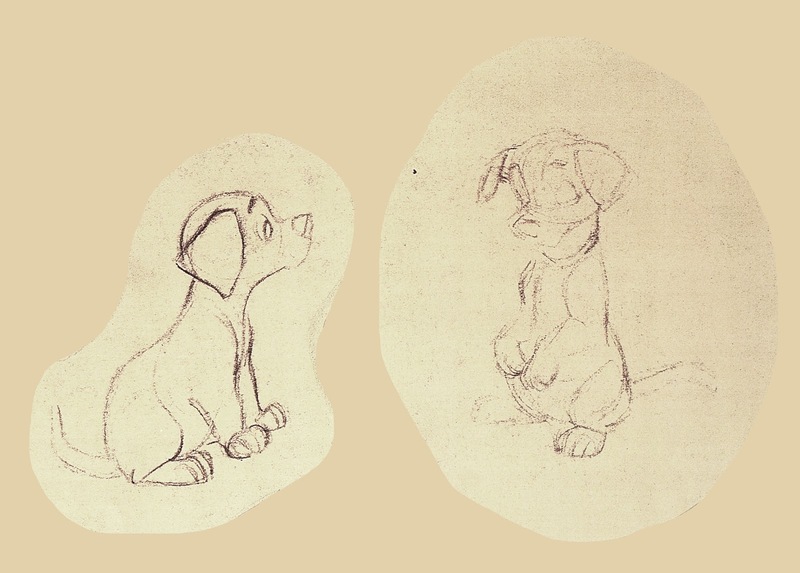 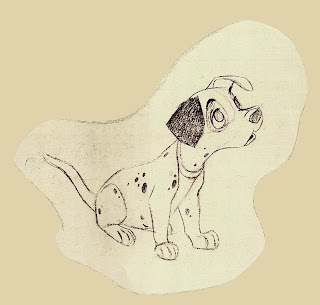 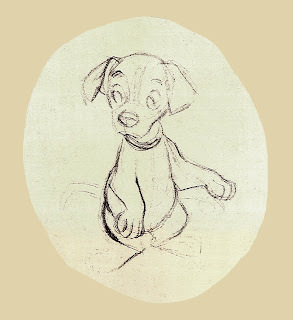 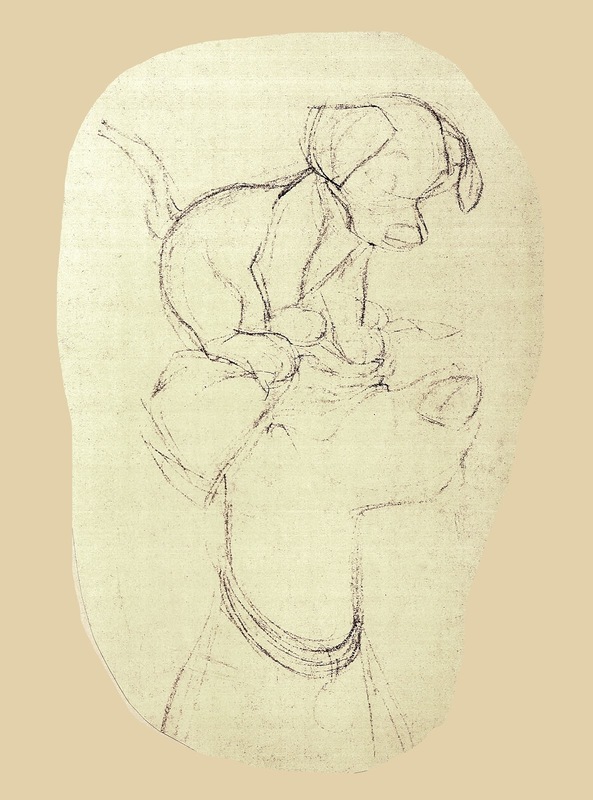 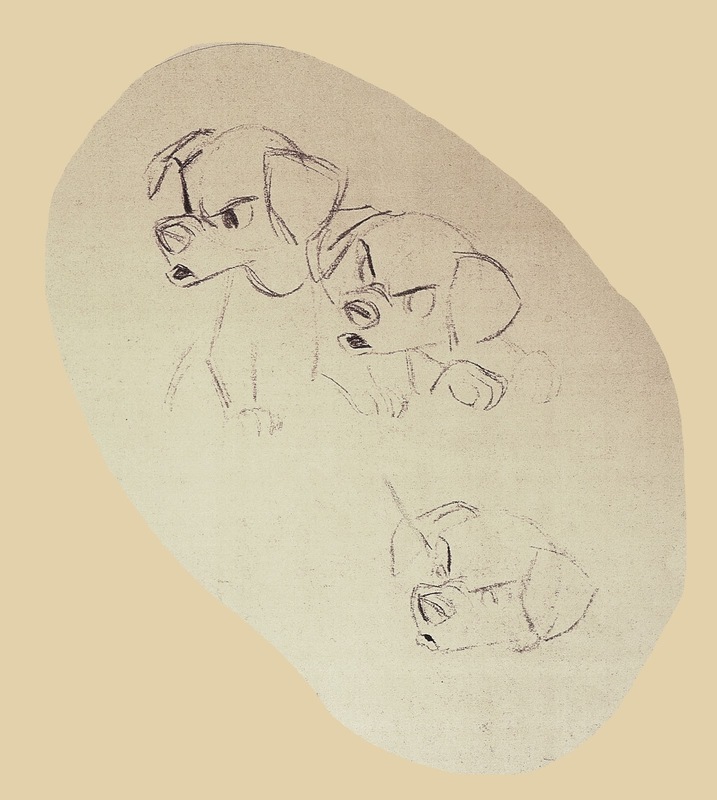 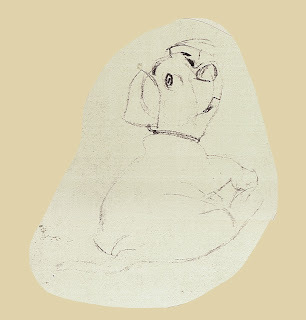 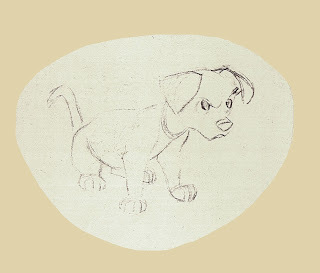 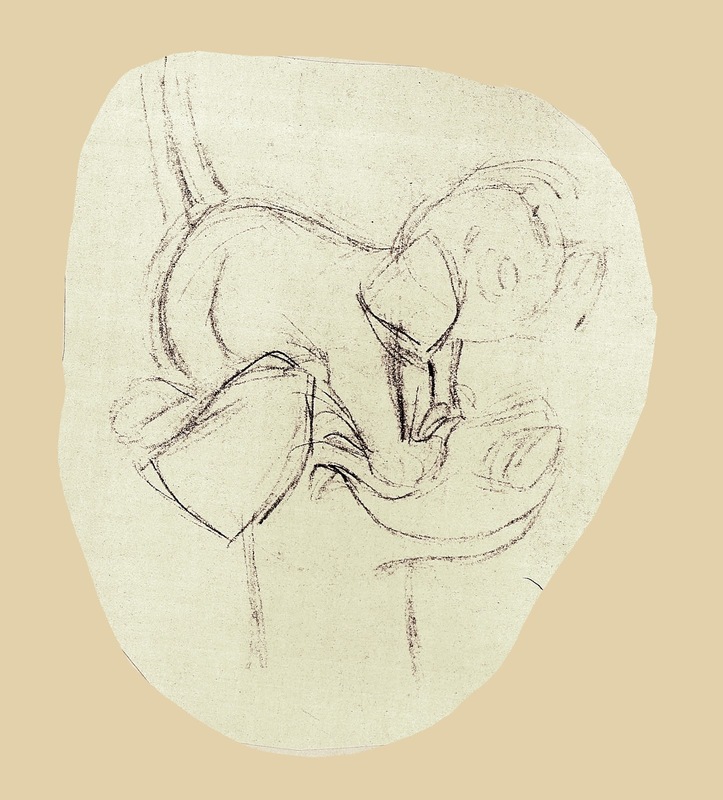 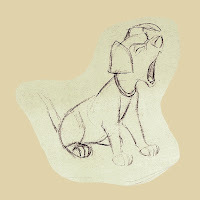 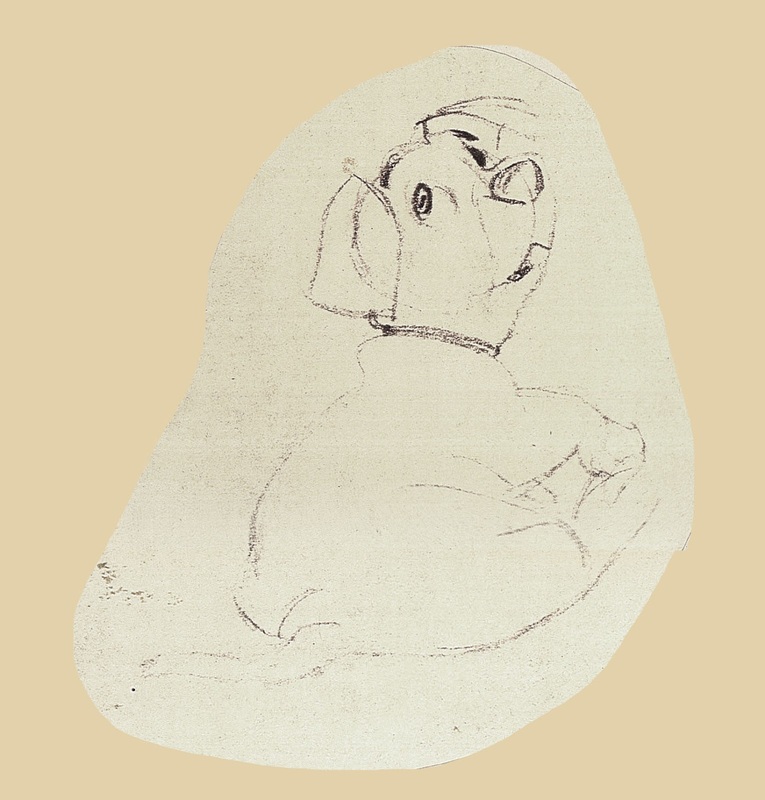 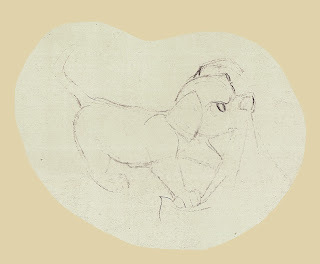 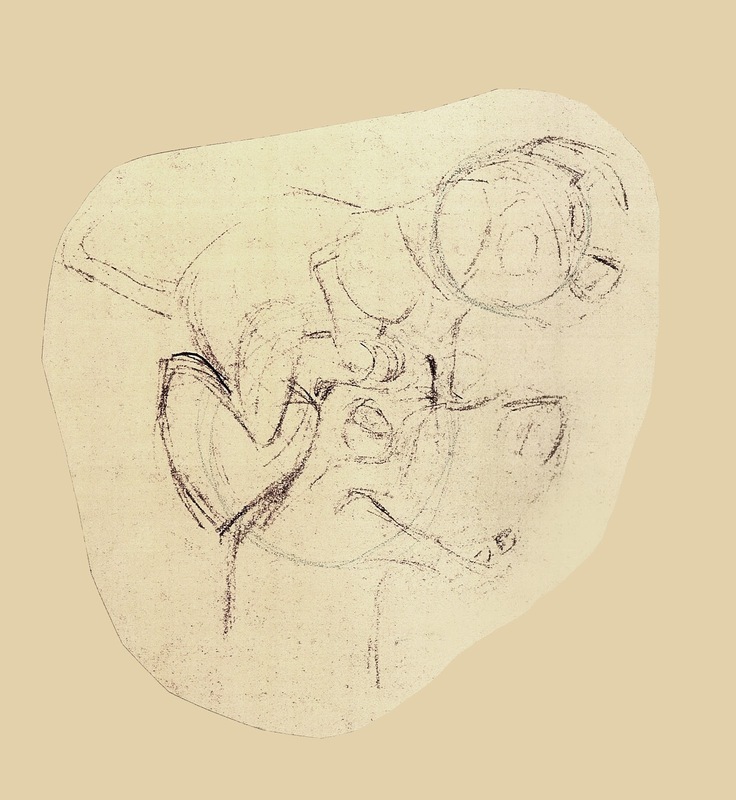 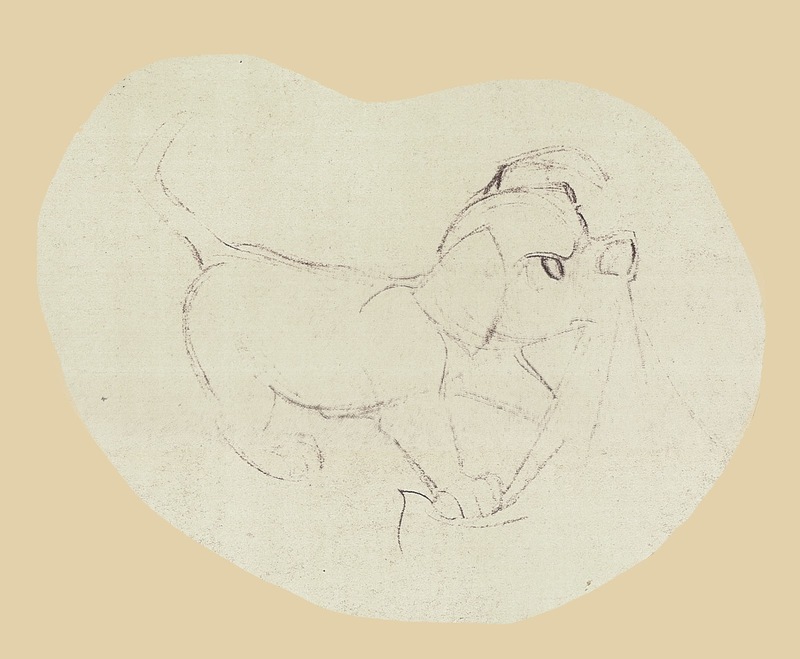 The puppies' personalities come through in the animation, and they are drawn with ultimate appeal. 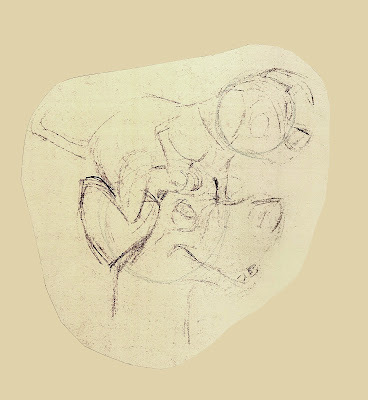 Just a few years ago I came across a bunch of old xeroxed model drawings from this sequence. They are the work of Milt Kahl, who didn't animate a single scene for this section of the film. 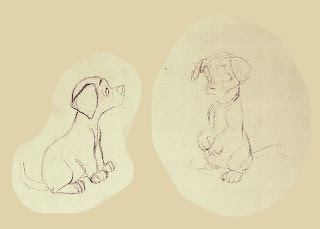 My guess is that Milt was asked to have a hand in many of the key poses, because of the fact that right here the audience gets to know the puppies' personalities. 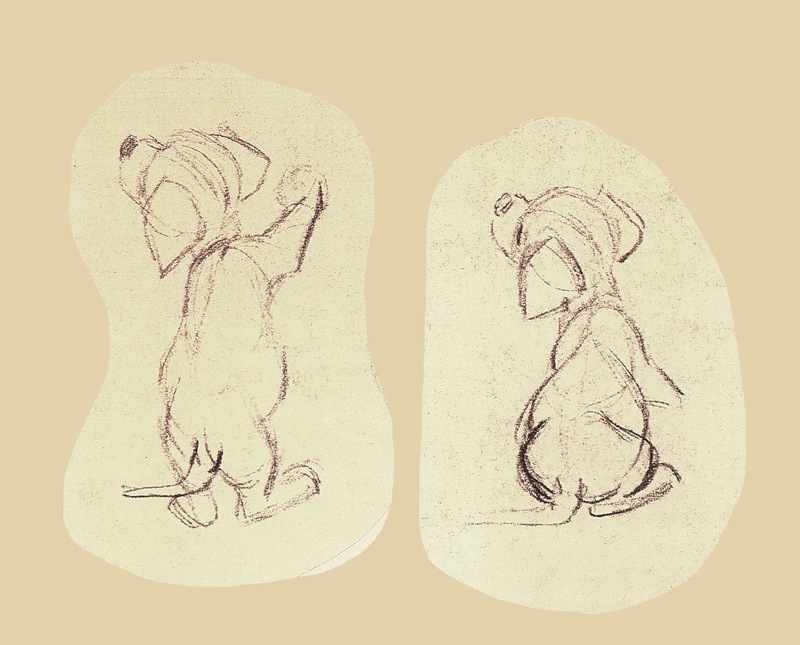 I am not sure if Milt came up with these terrific drawings based on Bill Peet's story board sketches, or if he went over other animators' rough drawings. 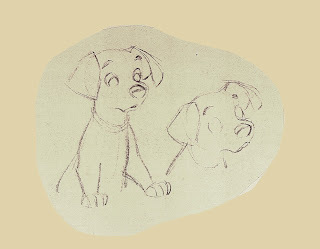 In any case, the key animators for this sequence were Eric Larson and Hal King, who wisely used Milt's input, because they knew it would make their scenes look much better. 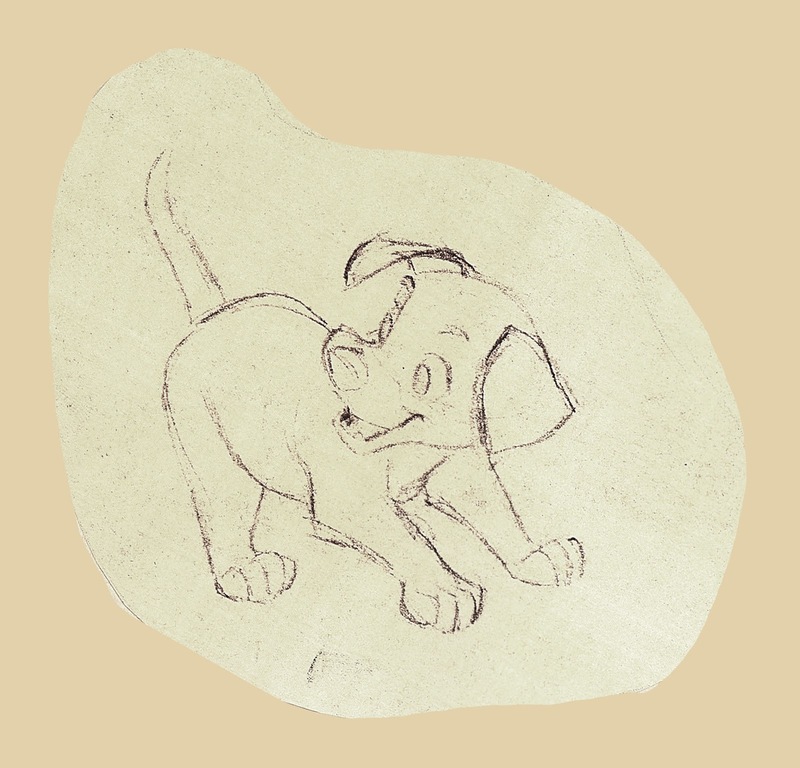 The copies are very light and needed a little doctoring, but great drawings always shine through even in third generation xeroxes.